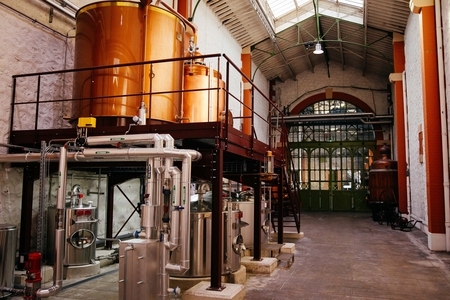 The production method used to make London dry gin and Pernod Absinthe are basically very similar. 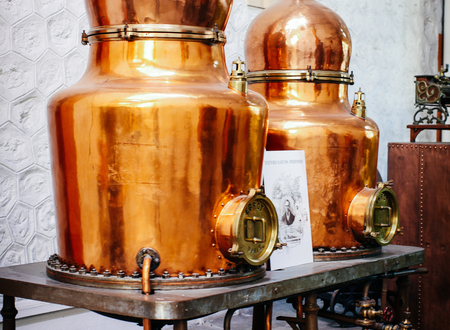 Like gin production, botanicals (herbs, spices, roots and barks) are distilled with neutral spirit to produce a flavoursome distillate, only in the case of Pernod Absinthe the botanicals used are Artesima Wormwood and green anise. 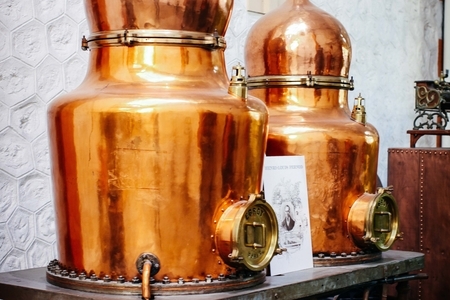 And while most London gin distillers favour grain based spirit, absinthe is traditionally made using grape neutral alcohol produced by distilling wine. 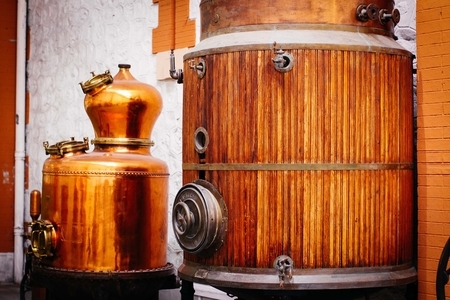 After distillation a secret formulation of further botanicals, including stinging nettles and Pontique Wormwood, are infused in the distillate. This final infusion adds further complex flavours while the chlorophyll in the plants used also imparts colour to give Pernod Absinthe its natural green hue. The Artesima Wormwood used is grown in Pontarlier where the land and micro climate impart exceptional flavour and a distinctive citrusy spiciness to the plant not found in wormwood grown in other regions. This is attributed to the rocky well-draining soil and extremes in climatic conditions - cold in the winter and hot in the summer. In absinthe’s heyday some 240 hectometres of wormwood was under cultivation in the fields around Pontarlier. When France banned the sale of absinthe in 1915 most of these plants were grubbed up as farmers were forced to move to other crops. 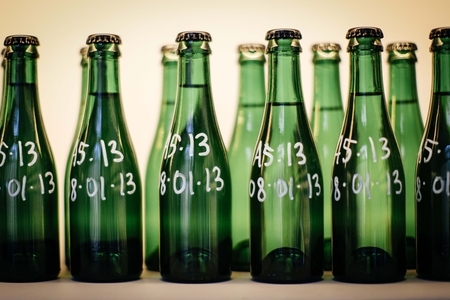 As various bans on the sale of absinthe were lifted by governments around the world such as Australia and New Zealand, so Pernod Ricard became more confident about the future of absinthe and the company sort to properly invest in recreating their original Pernod Absinthe. 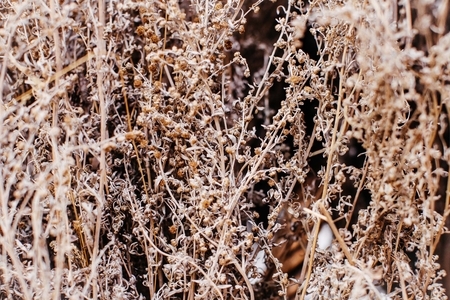 Artesima Wormwood is the most important flavour in abinsthe and Pernod Ricard knew that Pontarlier grown wormwood was essential to the product’s integrity and flavour. 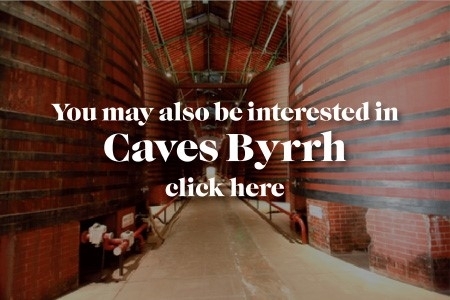 So in 2006, Pernod planted seeds sourced from Switzerland on a 5,000 square metre field called Gaec d l’Absinthe farmed by Thierry Charnier, something of an expert when it comes to the cultivation and harvesting of wormwood. 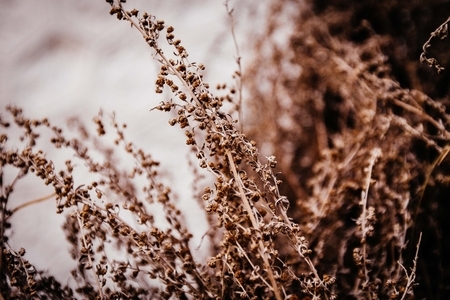 The wormwood is not harvested until the second summer, as the plant’s flavours are not properly developed during the first year of growth. Over the following years the plant’s growth becomes more prolific and so the harvests bigger, but the quality decreases year by year to such a degree that after the fourth or fifth year the plants require grubbing up to be replaced with new, more vibrant younger plants. Wormwood flowers in late July/August and the timing of the harvest is critical. The flowers need to have opened but not be too open. This is when the plant has developed the optimum flavours and thujone levels. The plants are watched for weeks not to miss the one day a year when perfect to harvest. Each sprig is hand sorted to remove any weeds and the sprigs tied into swaths which are strung up in shaded well ventilated places, protected from the sun in the summer heat, to dry slowly over a two week period. The wormwood is then bagged, still tied in swaths, to seal in its flavour. 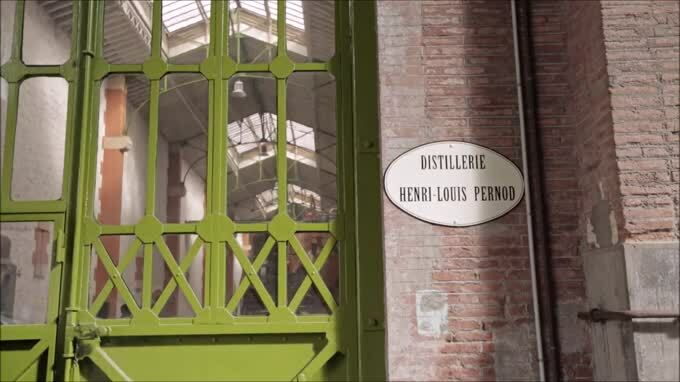 At Distillerie Henri-Louis Pernod the wormwood sprigs are hand-stripped of their buds and the stripped woody twigs which if used negatively affect the flavour of the absinthe are discarded (some other absinthe distillers bypass this labour intensive stripping). 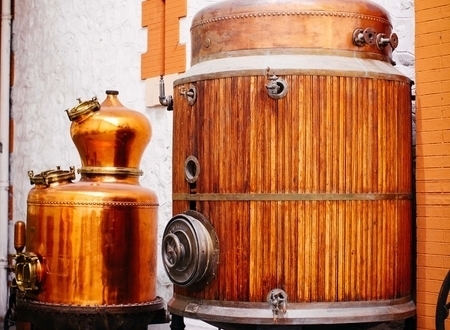 The copper alembic still is charged with 1,000 litres of 96% alc./vol. 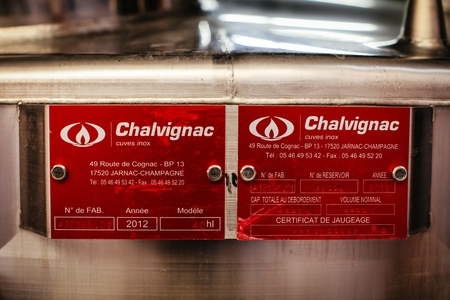 grape neutral alcohol from the Languedoc region and the hand-stripped wormwood buds are placed into the alcohol, along with Spanish green anise and left overnight for 12 hours to infuse. 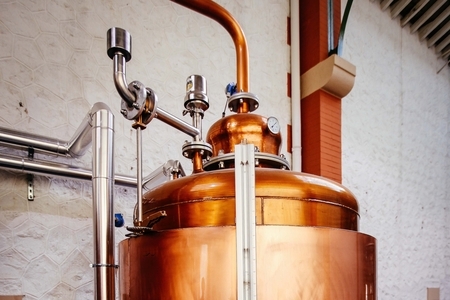 Prior to distillation 1,000 litres of water is added to the infusion to reduce the alcohol strength to around 48% alc./vol.. 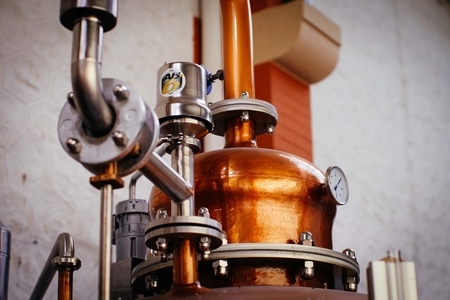 The distillation is slow, lasting nearly five hours, to ensure maximum flavour extraction and prevent the botanicals from boiling over and contaminating the precious distillate. Proportionately five times as much wormwood is used than anise and this is a reflection on the amount of anise used in original Pernod Absinthe recipes dating from 1897. At the time Pernod made numerous different absinthes and all these recipes call for large quantities of anise. 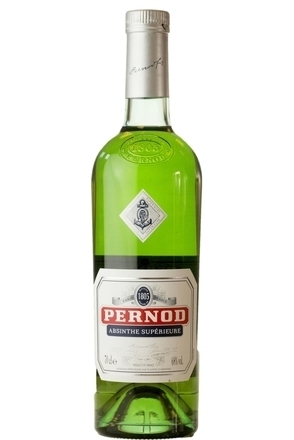 The level of wormwood Pernod use also gives the finished absinthe the maximum level of thujone currently permitted in United States law at 10mg per litre. 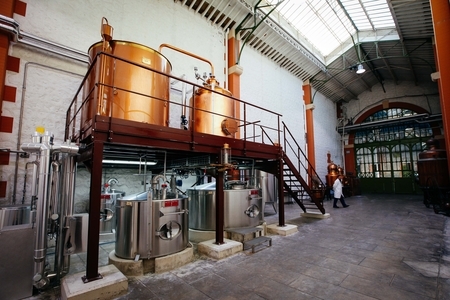 Pernod still have the original 19th century stills but they were not able to be used due to high levels of lead in their construction. 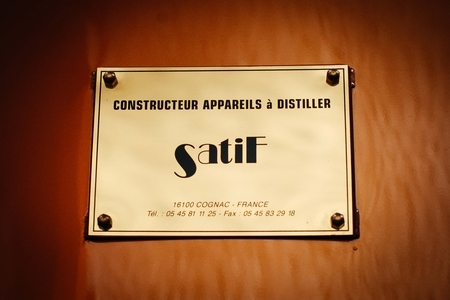 Consequently they commissioned replica copper alembic (pot) stills hand-beaten from 5mm copper plates by Satif in Gente, Cognac. 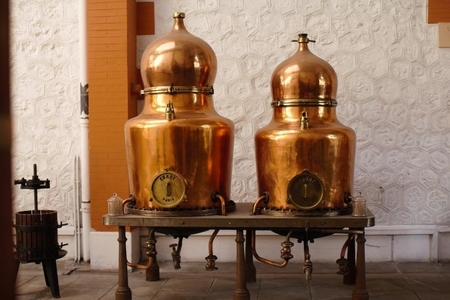 With a 2,500 litre capacity these are steam heated through coils in the base of the pot below a copper plate grid which prevents the wormwood and anise coming into contact with the hot coils and so burning. 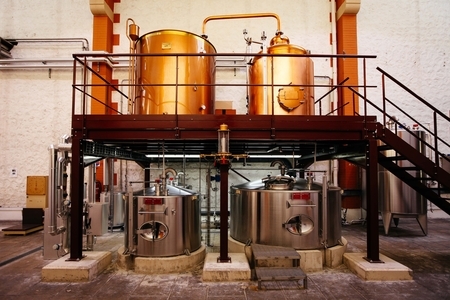 Unlike the original antique stills which sit as relics nearby, their modern day counterparts are computer controlled with the flow of steam into the still, and water in the condenser constantly varied to ensure the vapour in the stills head is 80°C and the distillate leaving the condenser is a steady 18°C. 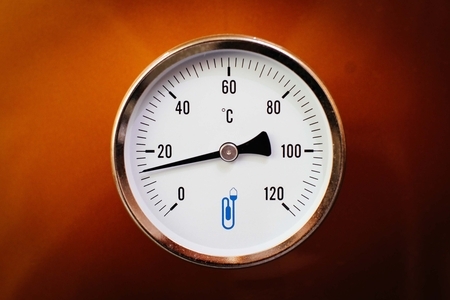 Distillation lasts a total of four-and-a-half hours with the first 140 litres of distillate discarded as heads before the 180 litre ‘heart’ of the run is collected to go onto the next stage of production. The rest of the run, some 1,680 litres is discarded as tails. 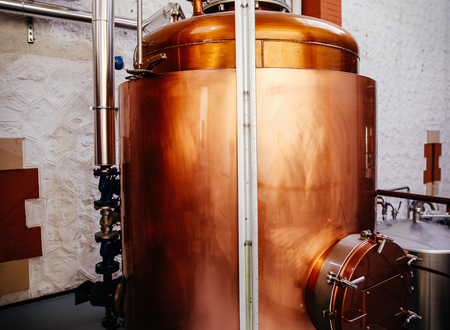 The resulting distillate is then moved to a storage tank to make a batch. Of this 1,500 litres is removed and steeped with stinging nettles and Pontique Wormwood (petty wormwood) for 10 to 15 days depending on the ambient temperature, which affects the rate of extraction of both colour and flavour. The infusion is filtered to remove solids. This batch is blended, one part (1,500 litres) infused distillate to eight parts (12,000 litres) grape neutral alcohol and this blend is then steeped with a further 11 botanicals including liquorice, fennel, star anise, melisa, hyssop and coriander. A further gentle filtration at ambient temperature through a 10 micron pad filter removes particles from the infusion prior to bottling.